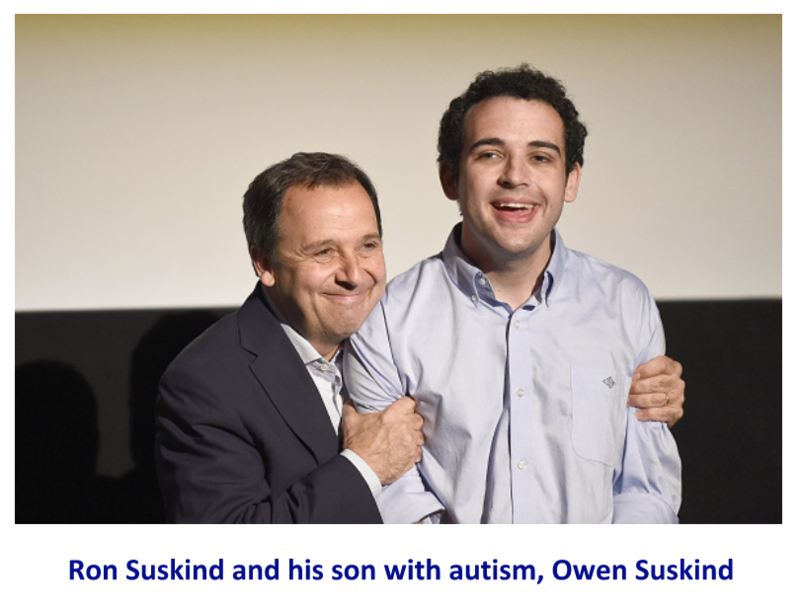 Sidekicks is a patented technology developed by Ron Suskind, Pulitzer Prize-winning journalist, bestselling author and autism advocate. Sidekicks allows a therapist or parent to facilitate the growth of social and academic skills as well as emotional intelligence. This is accomplished by leveraging the passions (“affinities”) of the child by communicating through a favorite avatar on a mobile touchscreen app. Sidekicks technology embraces spectrum kids’ strong interests (“affinities”) to deepen communication, enhance learning, and have fun. This new assistive technology integrates these affinities to hold their attention and increase their motivation – so parents, educators, and therapists can engage their kids more fully. As autism affects more and more families, it is critical that we develop/validate more cost-effective ways to improve care. Affinities Therapy seeks to target both social skills training and emotion regulation therapy in one curriculum. It is a highly innovative intervention platform, harnessing increasingly common and affordable mobile touchscreen technologies. Once the child has chosen a favorite avatar on Sidekicks, the therapist or parent uses a browser tab to select affinity-topics. They then guide conversation with the child using video and audio clips that highlight skills such as making friends and coping with adversity, all of which is communicated to the child via the avatar they have chosen. 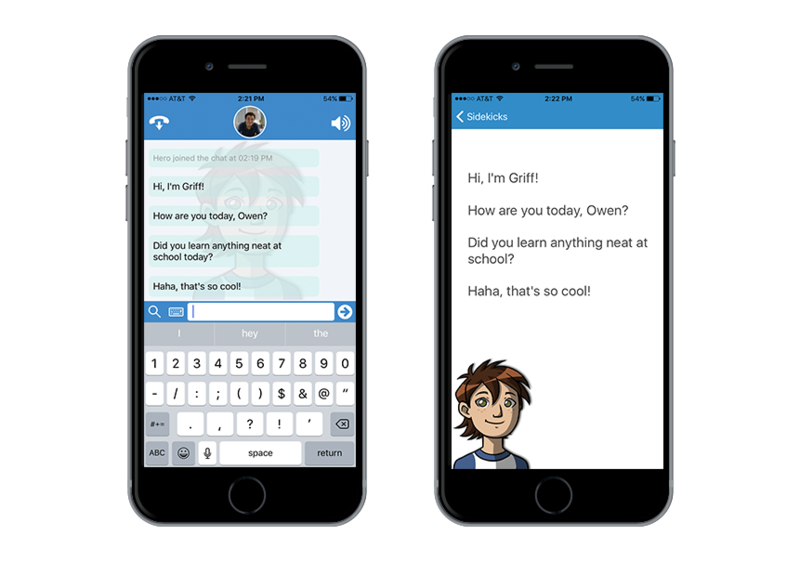 The app on the device thus creates a highly enjoyable communication channel between the parent or therapist and the child. No such technology for the ASD population exists to our knowledge: As of how, the Affinity Project represents the best and only hope for building this kind of child-led assistive technology. The vast majority of spectrum children have at least one circumscribed interest or “affinity”, yet no intervention exists to teach social communication and emotion regulation skills by leveraging an individual’s affinity. The Birtwell Study seeks to garner scientific evidence about the efficacy of Affinities Therapy delivered through the use of Sidekicks technology. This trial will take place at the MGH Lurie Center (a leader in the research and specialized care of individuals with ASD) over the course of 12 weekly hour long sessions. While the theoretical underpinnings and anecdotal evidence of Affinities Therapy are promising, rigorous scientific investigation into use of Sidekicks technology is a prerequisite for its future place on the global ASD treatment stage. GoFAR realizes the implications of this groundbreaking treatment platform, and has decided to power up the pilot study’s statistical significance by increasing its sample size by 33%. In addition, children without an iPad will now be able to participate in the study as well.